Some Special Roll Former use the pieces cut to length before roll forming to run the roll forming machine without stopping. Sometimes, to reduce the changeover time of changing the cutting die, the designer prefer to a precutting design. Such as: door panel roll forming machine, purlin roll forming machines etc. The common point is the width of steel product is various. the roll former mill can be adjustable automatically. Occasionally, the steel profile is partially roll formed, then cut to length before the final roll forming pass. This design is applicable to a complex shape , which is difficult to make as postcutting. But for now, only few roll formers adopt such design. With the development of precutting technology and cold saw cutting. More and more cutting method is generated instead of it. This is a very common cutting position. After cutting, the finished roll forming product is either keep moving to next operation( packing) or dropped into a running out table. In a roll former, every piece of the coil strip is moving until it is cut to length. Therefore, in processes where the tool is engaged in the moving material such as punching, notching, embossing and so on. The dies is moving or stationary will influence the speed of the roll former speed. Believe Industry Company have a full range of roll forming mill design which can meet all the different requirements. 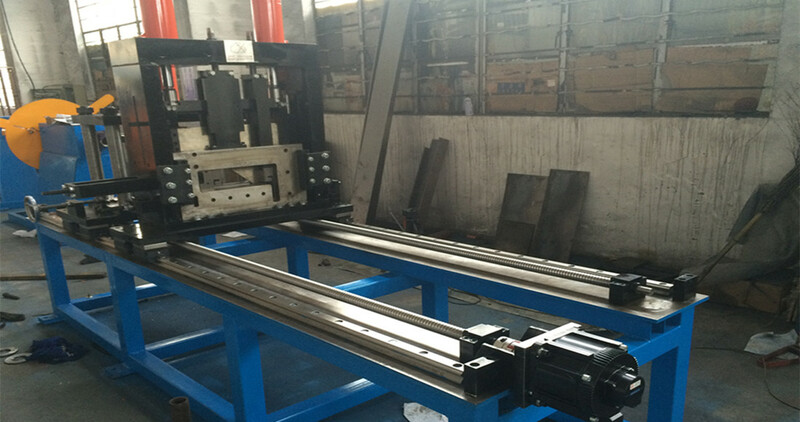 If you want to know more information about roll forming machine, Contact Us.